A parent's love knows no boundaries nor limits, it is affectionate and unconditional. And for a child, nothing is more important than feeling the love of a parent. Jollibee's latest video - Jolly Spaghetti, tugs at the heart as it shows the precious moments shared by parents and their children. The video is filled with real life snippets that many Filipino parents can easily relate to. Watch video here - Jolly Spaghetti. The video both warms and tugs the heart as it shows parents who try to make most of the precious minutes so that they can bond with their child. This is very true as parents nowadays are trapped in the world of office and traffic, and spending time with their kids can be limited. But being loving parents, they make sure that those precious minutes they spend with their child are fun, memorable and full of love. 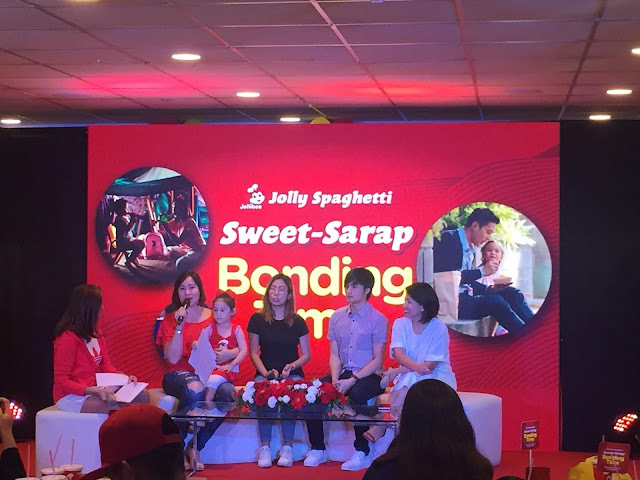 "The latest Jolly Spaghetti video is our tribute to Filipino parents who tirelessly find ways to connect and bond with their children, even in the smallest ways like sharing their favorite sweet-sarap treat," said Cathleen Capati, Jollibe AVP for Marketing- Flagship Category. "Childhood always goes by so fast and for parents, it's important to enjoy and cherish every moment with our children." Since it was introduced decades ago, Jolly Spaghetti has always been a part of a Pinoy kids happy memories. The sweet-style sauce with hotdog bits and grated cheese on top of spaghetti noodles perfectly captures that unique Filipino taste. 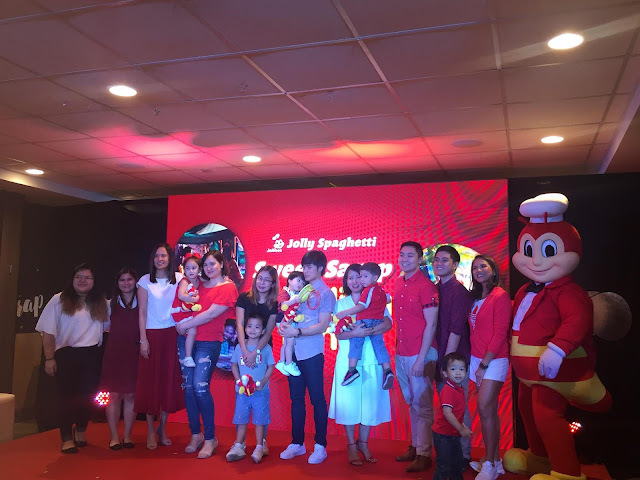 "We at Jollibee hope that this video inspires parents to make even the simplest day-to-day activities, such as enjoying common favorite like Jolly Spaghetti, a means to connect with their kids for that bonding na walang kasing-sarap," added Capati. 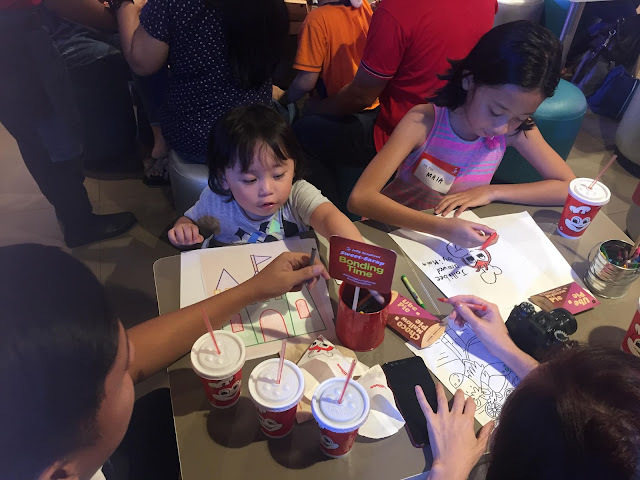 Jollibee hosted a "Sweet-Sarap Bonding Time" and invited some celebrities and their kids for some fun bonding activity. They also shared how they spent precious time with their kids even with their busy schedules.